I’m still disappointed that we don’t have flying cars and robot servants yet, but I’m hoping we make strides this year. I’m also hoping we get smarter about the environment and how to remove big money from politics. But I digress. Let’s talk social/digital media instead. Here are three predictions for the social and digital media industry in 2014. 2013 was the year of content creation. Brands still need to create powerful content, but more emphasis will be placed on distributing that content. It’s no longer effective to simply publish content on social channels and wait for an audience to arrive. Think about it like this. Book publishers don’t just publish books – they market them. Film producers don’t just create movies – they market them. The same holds true for digital content. Brands need a sophisticated distribution plan to get their content noticed by the right audiences. This means developing a strategic social and digital strategy across paid, earned and owned channels. And remember, paid now includes both earned and owned. Social channels have evolved and brands can no longer reach organic audiences effective without a paid plan. Brands need to wake up to the fact that spending $25,000 for a cool video does little good if only 200 people watch it. I get it. Facebook is public now. They have to monetize and please shareholders. But they also need to realize that they are in the process of killing their own product. Teens are fleeing at an uncanny speed. Advertising is clogging News Feeds. But even worse Facebook is slowly eroding organic engagement between brands and their fans. Instead they want brands to pay for that engagement – per post. 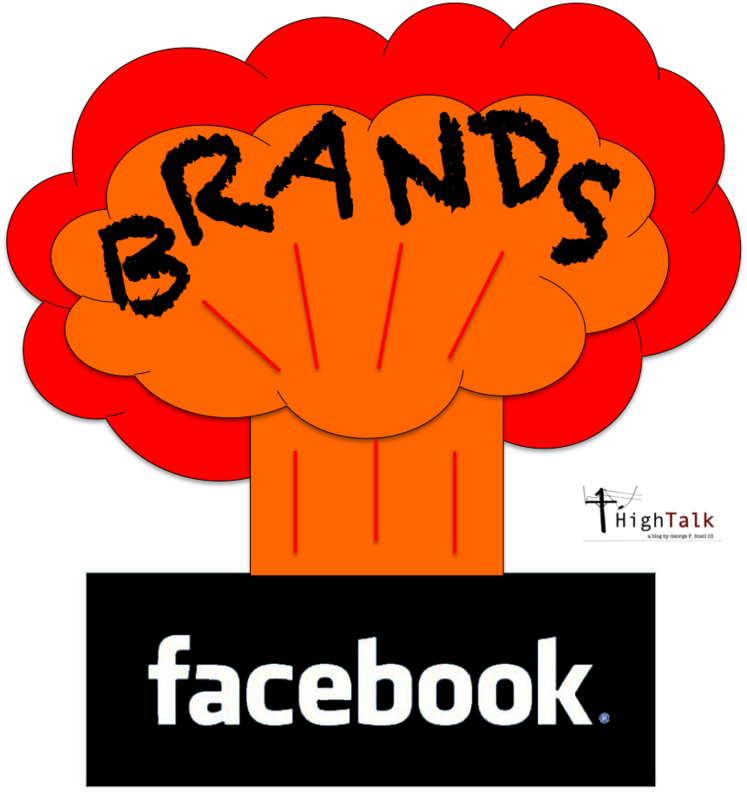 Yet many brands have not woken up fully to the fact that most of their postings on Facebook reach a paltry percentage of their fans. When they do – look out for major backlash. Facebook is truly becoming a leased property and less appealing as the rent increases and they nickel and dime brands. Facebook needs a better system for brands. How about a tiered partner program with features and options built into an annual or monthly subscription rate? Brands continue to rely on agencies for digital and social know-how. But internally they continue to hire junior level executives to be their digital and social leads. This isn’t working and they finally realize this in 2014. Digital content is now at the center of most brand marketing and brands need senior leadership to run these operations – everything from strategy and to content channel optimization. Digital content can’t be bolted on to marketing or communications. It needs to be its own department with a smart leader running it. Social and digital channels were built for live engagement – especially video. This year brands will realize that “live” programming from streaming events and panels to original programming is a way to grab attention, increase engagement and build stronger relationships with customers and influencers. It also adds sizzle and excitement to every campaign. Pitching the media your brand story is becoming a thing of the past. While it will continue to hold ground (like fax machines and writing a letter), it will no longer be the center of a PR campaign. Public relations efforts will be more focused on media partnerships, pitching digital content, media integrations and paid sponsorships. Even the mighty New York Times is preparing a new website to handle sponsored stories from advertisers. Do you have any predictions for 2014 you care to share?